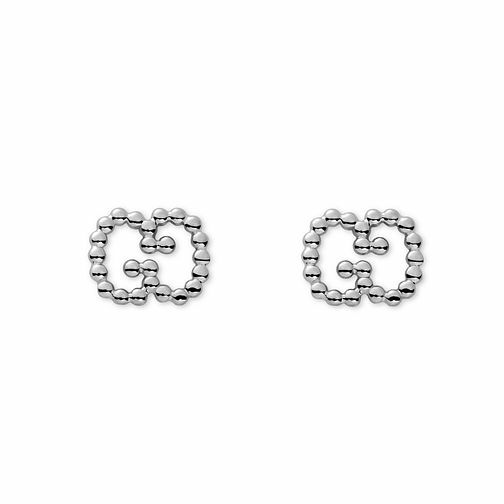 From the opulent Gucci Boule jewellery collection, these delicate earrings are crafted in silver and feature an eye catching design. Shaped in the iconic GG shape, these beautifully streamlined studs are the perfect finishing touch. Gucci jewellery echoes the brands longstanding icons, from the Horsebit to the 'GG' monogram. Every piece in the Gucci jewellery range is made in Italy.